Dayton, Ohio-The Lake County Captains scored five runs with two outs in the fourth inning and held off the Dayton Dragons for a 6-2 victory on Saturday. A crowd of 8,425 was in attendance at Fifth Third Field as the Captains evened the series at one win apiece. Dayton led 1-0 before Lake County put six straight batters on base in the fourth, getting a two-run home run by Marcos Gonzalez to give them the lead. Tyler Freeman added a two-run double later in the inning. Dragons starting pitcher Lyon Richardson sailed along over his first three and two-thirds innings without allowing a hit. He struck out the first two batters in the fourth before allowing an infield single by Mitch Reeves that glanced off his pitching hand. Moments later, Richardson picked Reeves off first base, but the Dragons failed to execute the completion of the play as Reeves advanced to second. First baseman Jay Schuyler was charged with a throwing error on the play. Gonzalez followed with a home run to give the Captains a 2-1 lead. 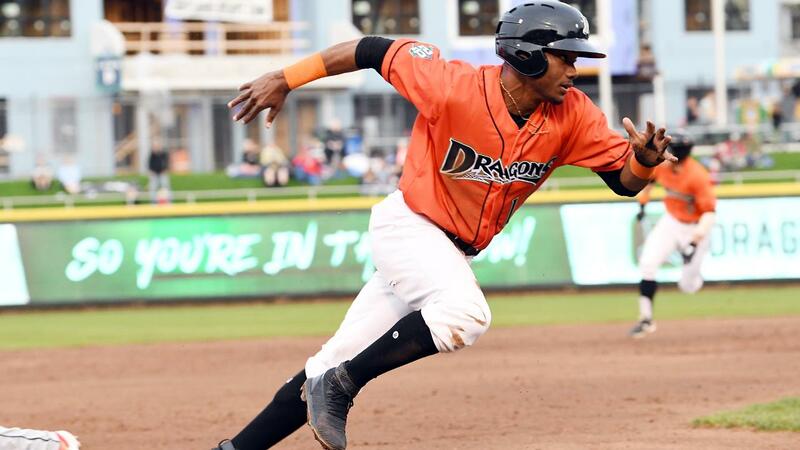 The Dragons scored in the fifth when Jonathan Willems singled, went to third on an error, and scored on Miguel Hernandez's ground out to make it 5-2. But Dayton was never able to mount a serious comeback threat over the final four innings. They grounded into double plays in three straight innings in the sixth, seventh, and eighth. Lake County added one run in the ninth to close out the scoring. Richardson (0-1) was charged with the loss. He worked three and two-thirds innings, allowing four unearned runs on four hits with one walk and five strikeouts. The Dragons bullpen combined to work the final five and one-third innings, allowing two runs with 10 strikeouts including seven in a row by the combination of Julio Pinto and Jerry D'Andrea. D'Andrea struck out six in two innings of work, allowing one run. The Dragons collected five hits. Michael Siani was 2 for 4 with a run scored. Up Next: The Dragons (3-7) and Captains (7-3) close out the three-game series on Sunday afternoon at 2:05 at Fifth Third Field. Jared Solomon (0-1, 3.38) will start for Dayton against Lake County's Alex Royalty (0-0, 3.60). The game will be televised on Dayton's CW (channel 26; Spectrum cable channels 13 and 1013). The Dragons open a new three-game series in Dayton on Monday night against the Fort Wayne TinCaps.